The Paddock is a 55+ community in Salem, New Hampshire. Swiniarski Builders, a local company, built the 16 low-maintenance single-family homes that feature high-end fixtures and finishes, first-floor master suites, and customizable options. Homeowners love the convenient location near both daily necessities but with big-city attractions in Manchester and Boston both less than an hour away. Although The Paddock doesn't provide a clubhouse, homeowners can take advantage of living in this maintenance-free community. A modest homeowners' association fee handles lawn care and snow removal, residents have more time to pursue new hobbies and activities at their leisure. They can go for a morning stroll or jog around the neighborhood while appreciating their surroundings. A proposed recreation area the the heart of the community will provide additional opportunities for neighbors to enjoy the beautiful area. Swiniarski Builders, a local homebuilder with 40 years of experience, built 16 exclusive single-family homes at The Paddock. Three floor plans are available that range in size from 1,450 to 1,950 square feet with two or three bedrooms, a den, one-and-a-half to two-and-a-half bathrooms, and attached two-car garages. All plans have first floor master suites with generous walk-in closets and bathrooms with high-end fixtures and finishes. Dramatic nine-foot ceilings are utilized throughout with some plans featuring vaulted ceilings in main living spaces. Open kitchens have granite countertops and stainless steel appliances. Swiniarski Builders also offers a wide variety of option for homebuyers to customize their homes from optional sunrooms and bonus rooms to upgraded fixtures and appliances. The Paddock is located in Salem, NH. The community is conveniently close to daily necessities with a Market Basket, Target, Walgreens, Bed Bath & Beyond, and many other retail stores and restaurants located just over two miles away. There are six golf courses within about ten miles of the community, giving golfers plenty to explore. There are also several nature areas, preserved wet lands, and state forests in the area along with the the Salem Bike-Ped trail. The community is ideally located within the region wof Manchester, NH, 22 miles to the northwest and Boston 33 miles to the southeast, making both easily accessible for day trips. Interstate 93 is just two miles away, making travel throughout New England easy. When long-distance travel is required, Boston Logan International Airport is 35 miles away. 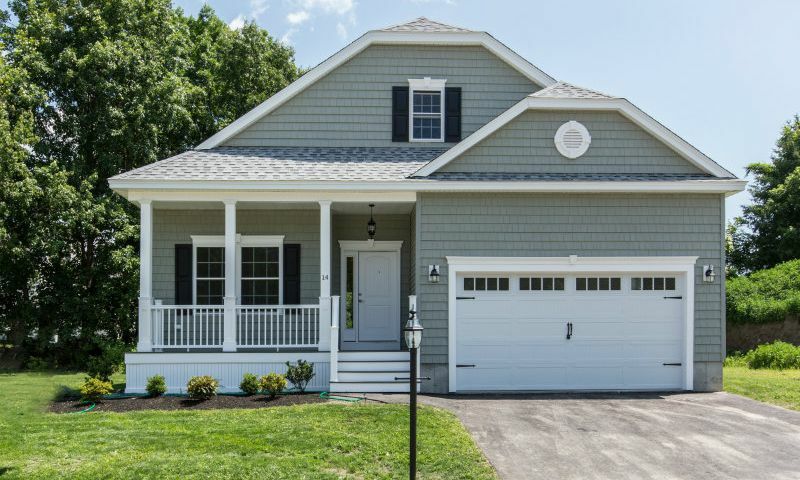 Homebuyers looking for high-end, low maintenance homes in a great 55+ community will find a lot to love about The Paddock in Salem, New Hampshire. Check back soon for more information on the lifestyle in The Paddock. Swiniarski Builders, a local homebuilder with 40 years of experience, has plans for 16 exclusive single-family homes at The Paddock. Three floor plans are available that range in size from 1,450 to 1,950 square feet with two or three bedrooms, a den, one-and-a-half to two-and-a-half bathrooms, and attached two-car garages. All plans have first floor master suites with generous walk-in closets and bathrooms with high-end fixtures and finishes. Dramatic nine-foot ceilings are utilized throughout with some plans featuring vaulted ceilings in main living spaces. Open kitchens have granite countertops and stainless steel appliances. Swiniarski Builders also offers a wide variety of option for homebuyers to customize their homes from optional sunrooms and bonus rooms to upgraded fixtures and appliances. 55places.com is not affiliated with the developer(s) or homeowners association of The Paddock. The information you submit is distributed to a 55places.com Partner Agent, who is a licensed real estate agent. The information regarding The Paddock has not been verified or approved by the developer or homeowners association. Please verify all information prior to purchasing. 55places.com is not responsible for any errors regarding the information displayed on this website.